Don't know who CLAMP is? How can you not? After all, they're the manga team that made CCS and many other works possible!! It is a very known fact that CLAMP is a popular group of 4 females. For one thing they are most famous for their beautiful drawings, creativity, and twists in their mangas! CLAMP's works are mostly Shoujo manga (Girls' comics) but they also do Shounen manga (Boys' comics). Like most mangakas, CLAMP had started out as a douijinshi team. Surprising, the original group had 11 members (!) Later, after they had turned pro, the group dwindled down to 7 and later, 4. Nanase Okawa: the writer and in charge of scripts. Satsuki Igarashi: in charge of the design development and is also assistant of drawing and illustration. Apapa Mokona: the main artist, and takes care of the diffulcult layouts, drawings, etc. Amazing though, when the group had first started she was not the lead artist. Tamayo Akiyama: She was the leading artist in Clamp's first commercial release 'CLUSTER'. 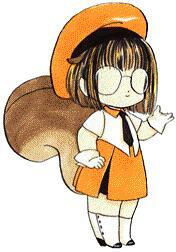 But, throughout the years, she became heavily influenced by Mokona Appapa's style (still is too). 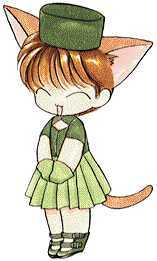 Because of that she left the group leaving Mokona to take over as Clamp's leading artist. Tamayo is now a solo mangaka. Leeza Sei: The same same thing had happened to her also, she was the artist for 'COMEBINATION'. Leeza Sei is now writing under the name of Iba Takeo. Her style has changed dramatically.